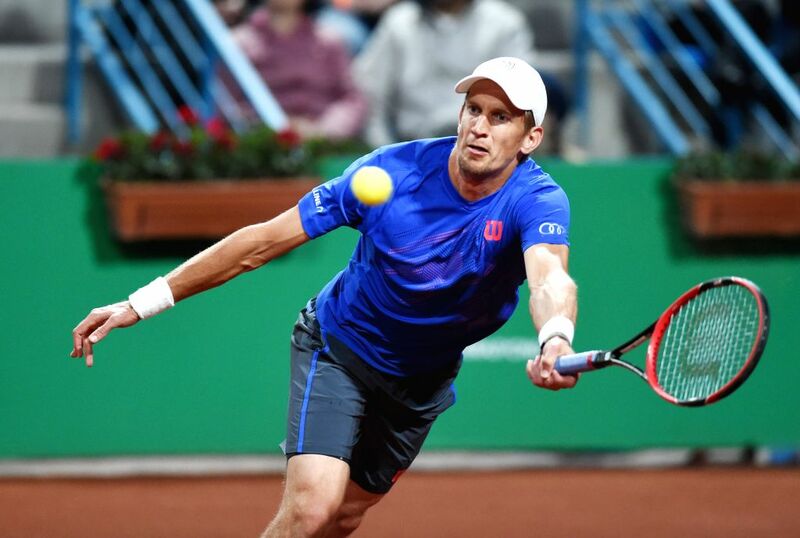 ISTANBUL, April 30, 2015 - Jarkko Nieminen of Finland returns the ball during his second round match against Roger Federer of Switzerland at ATP World Tour Istanbul Open in Istanbul, Turkey, on April 29, 2015. 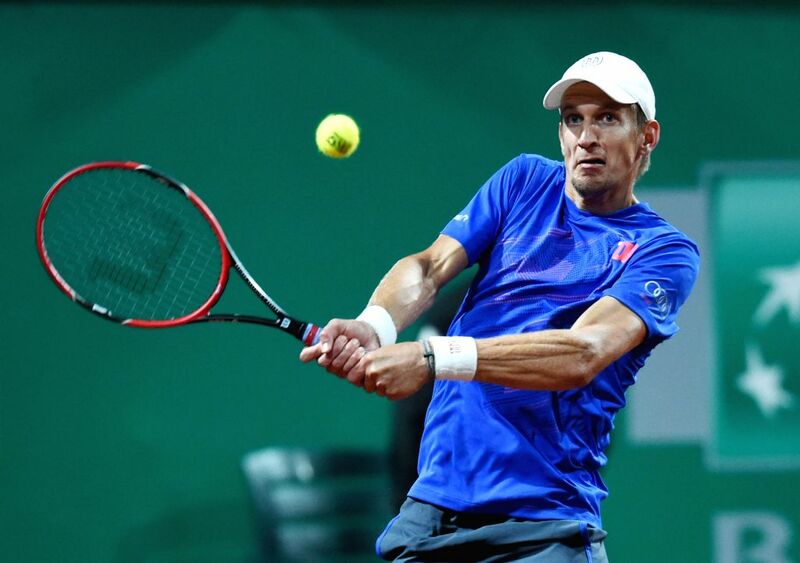 Jarkko Nieminen lost 0-2. 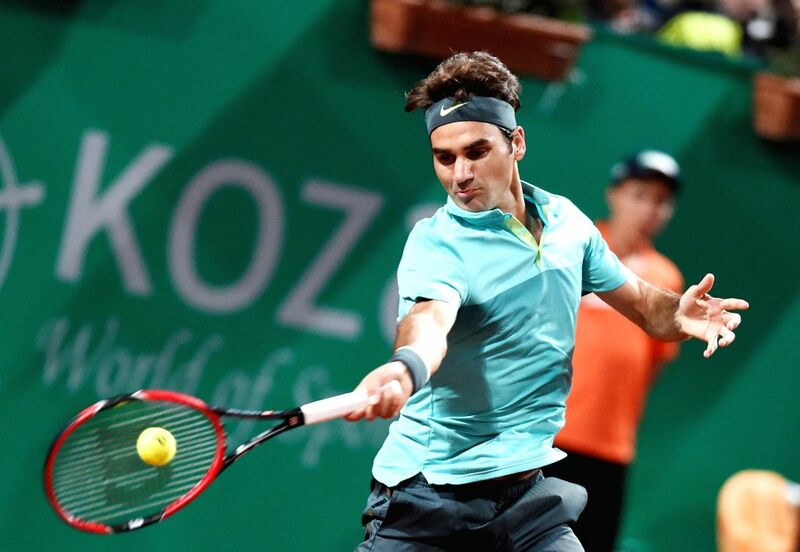 Roger Federer of Switzerland serves during his second round match against Jarkko Nieminen of Finland at ATP World Tour Istanbul Open in Istanbul, Turkey, on April 29, 2015. 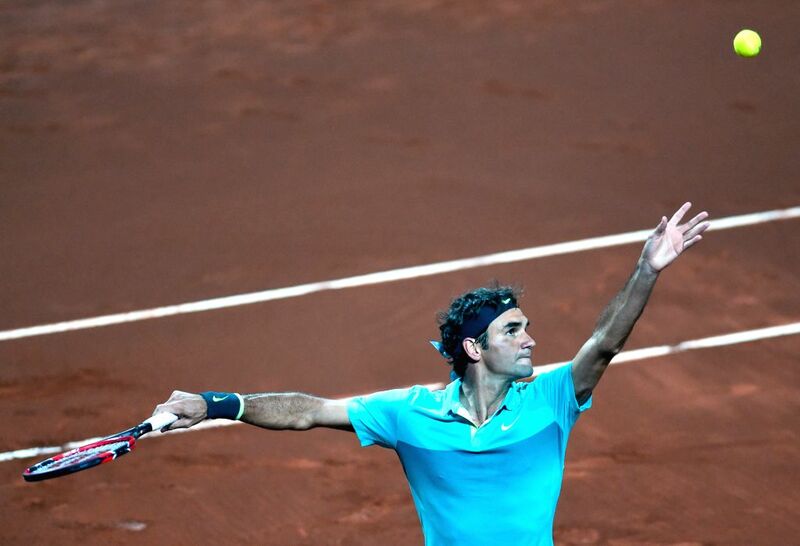 Roger Federer won 2-0. 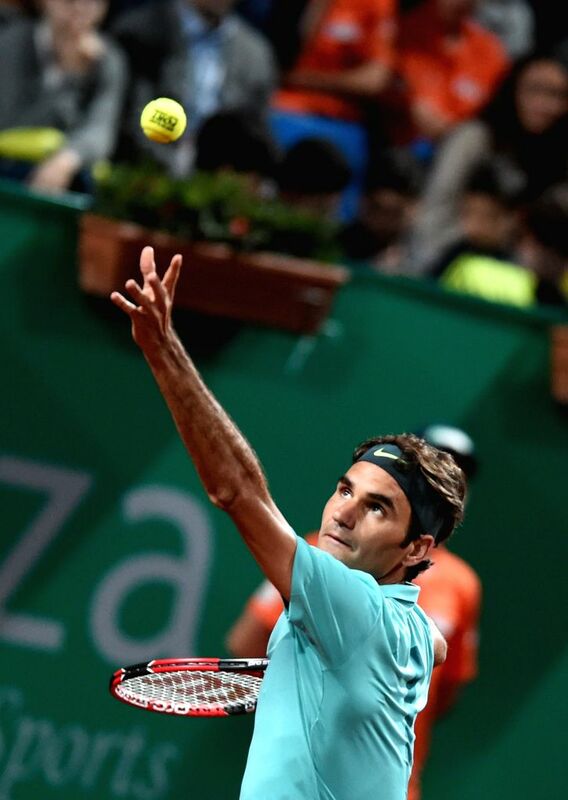 Roger Federer of Switzerland returns the ball during his second round match against Jarkko Nieminen of Finland at ATP World Tour Istanbul Open in Istanbul, Turkey, on April 29, 2015. Roger Federer won 2-0.